Over the past few months, I’ve posted a few juggling videos to Instagram. One showed me juggling three baseballs in between sets of lifting and the other showed me juggling racquetballs against a wall. Since sharing those brief clips, I’ve received several questions about juggling. Many athletes have written to me asking whether it makes sense for them to juggle, and if so, how do they learn. For starters, I’ll point out that I am far from a juggling expert. I’ve never spent more than a few minutes at a time juggling. I took it up several years ago as a way to simply maintain my hand-eye coordination. I wanted something that I could do anywhere without taxing myself physically. Juggling seemed like the perfect option. I even wrote an article about it way back in 2007. Eight years later and I still subscribe to the same approach. Juggling continues to keep my hand-eye coordination sharp and is also useful for the brain. It’s one of those activities where the benefits almost seem too good to be true. Fortunately, those benefits aren’t exaggerated. You’ll be hard pressed to find an athlete who doesn’t want to maintain or improve his hand-eye coordination. And perhaps more importantly, it is an activity that athletes can practice anywhere. It won’t interfere with your lifting or sport-specific training. No one will ever experience soreness or fatigue from juggling a few balls. As far as getting started, there are balls made specifically for juggling, but I’ve always just used baseballs or tennis balls. You can see a quick demonstration below. It can also be useful to juggle balls against a wall. I prefer racquetballs for this variation. The racquetballs will rebound quickly so you need to react equally fast. Many beginners will be surprised at how much different it is to juggle balls against a wall as opposed to juggling in the air. As far as learning how to juggle, there are loads of useful tutorials online. One of the sites that I first referenced back in 2007 can be found at the link below. I suggest starting with a basic three ball cascade and eventually progressing from there. Even just a few minutes of practice as a warm-up will prove useful over time. And as you become more proficient, you can include juggling in other ways. 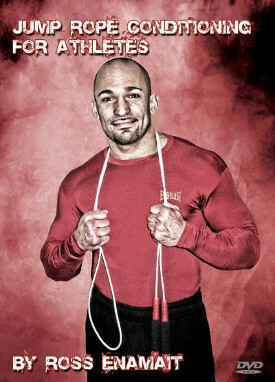 For example, I will often perform short periods of juggling in between sets of heavy lifting. It may sound odd, but I like to challenge my coordination while I am fatigued. As a young boxer, I was always told that it is easy to perform well when you are fresh. My coach instilled upon us the importance of performing equally well when we were fatigued. That mentally stuck with me as I transitioned from athlete to coach. I’ve always stressed the importance of maintaining composure and ability whether you are fresh or fatigued. 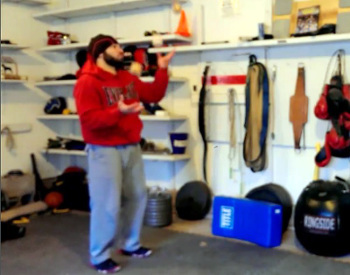 Juggling in between sets of exercise is one simple way to reinforce this principle. It’s worth noting that juggling is just one of many ways to improve coordination. Below is a video that I filmed in 2012. Similar to the clips above, the variations that you’ll see in the Youtube video won’t cost you a dollar. The drills can be practiced almost anywhere. In summary, almost any athlete will benefit by improving his hand-eye coordination. Learning to juggle a few balls is one of the easiest ways to facilitate this process. Once you’ve learned to juggle, you’ll have a skill that can be practiced anywhere. And there will always be more difficult variations that you can strive to achieve in the future. Great stuff Ross. I’ll have to try this with my developmental tennis players; it should help out a lot. Brilliant as always Ross. sometimes I practice catching a ball off a wall with an action which is pretty much opposite to the one mentioned in your article. you can call it hand mind coordination. i cant send you a video as it cant be proved with the video. try fixing you gaze at one point on the wall while trying to catch the ball off the wall. you cant look at the ball, try training your mind to ‘see’ the coming ball. its fun and improves your coverage of vision. Very interesting perspective. It stands to reason. I’ve found the more variety you can work into your program, without losing site of your overarching goals, the better. I throw in handstands lately, especially on shoulder days, or pushing days. Juggling, of course, is much more detailed ancillary work, but something I would be open to trying. Thanks! Good read. My juijitsu sensei showed the class some basic juggling moves years ago and I still fool around with it, usually at the park while my son is running around. I find hackey sacks are good, because they don’t roll away when you drop them. Also, round, lead fishing weights are good if you want a little resistance, (just twist off the nibs and file the waste down). It’s a fun challenge, and kids always want to try. Have yo heard of the Sparatacus workout? Minute drills is no joke. Funnily enough, juggling used to be recommend exercise for fighters in the medieval period! Progressions included heavier balls, walking around whilst juggling and walking through obstacles etc.